The Gun Room offers you the opportunity to purchase, a new Blaser F3 Grade 5 professional sporter with 30" multi choked barrels, grade 5 timber, with all barrel and stock weights, 5 extended chokes, and double case. 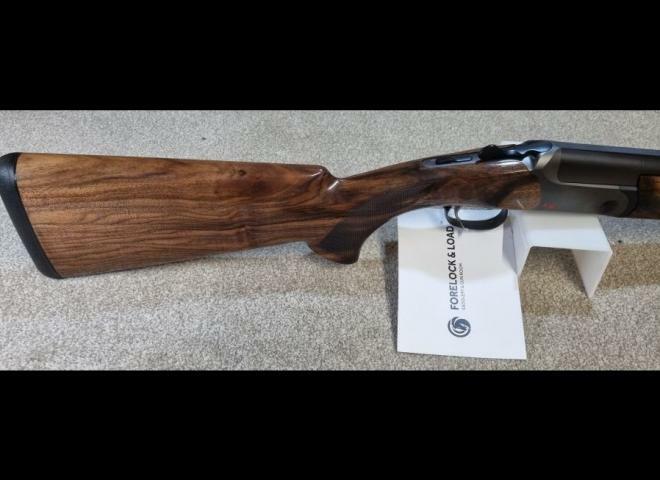 The Gun Room offers you the opportunity to purchase a, Blaser F16 Grade 4 sporter with 30" multi choked barrels lovely Grade 4 wood tapered rib, cased. EXCELLENT CONDITION F16 HERITAGE, GAMESCENE ENGRAVED SIDEPLATES WITH HIGH GRADE WOOD WORK. CASED WITH 4 SPARE CHOKES.